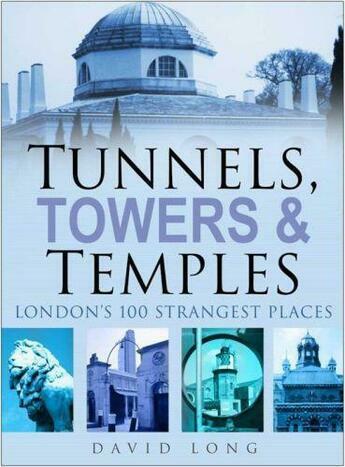 Tunnels, Towers & Temples takes a sideways look at London, revealing the hidden stories, curious histories and sometimes comic associations behind dozens of often quite familiar places. Through their stories, the author reveals a strange side of London most people never come to know, even though they walk its streets every day and take much of what they see entirely for granted. Typical examples include extensive networks of tunnels running beneath high street pavements, secret transport and signalling networks crisscrossing the capital, genuine oddities such as streetlamps powered by sewer gas, a street where you can legally drive on the right, a future Russian Tsar working incognito in a British naval dockyard, even a Nazi memorial sited among the real heroes and adventurers of the British Empire. This companion to 'Spectacular Vernacular: London's 100 Most Extraordinary Buildings' is the best possible start for anyone who wishes to get off the beaten track and under the skin of the hidden city that is modern-day London.